Finally, we make it to the last stop on the Motherland Tour of Sicliy, Cefalù. 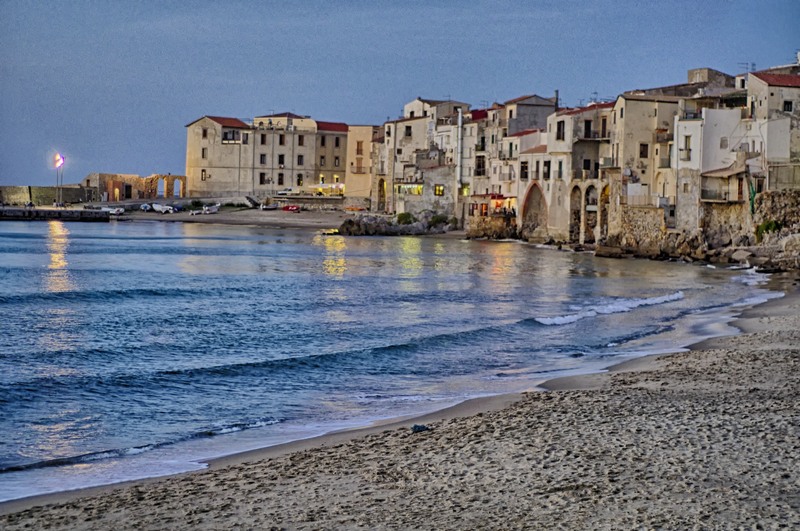 Cefalù is a small beach town nestled between a beautiful bay and the rocky granite cliffs of La Rocca. Located an hour east of Palermo on the northern coast of Sicily, Cefalù was a wonderful surprise at the end of our tour. A small town of winding Medieval streets and alleyways full of shops and restaurants serving FABULOUSLY fresh fish. Unfortunately, we only had time for a delicious dinner one evening and a quick dip in the sea the following morning before heading back to Palermo to catch our flight home. 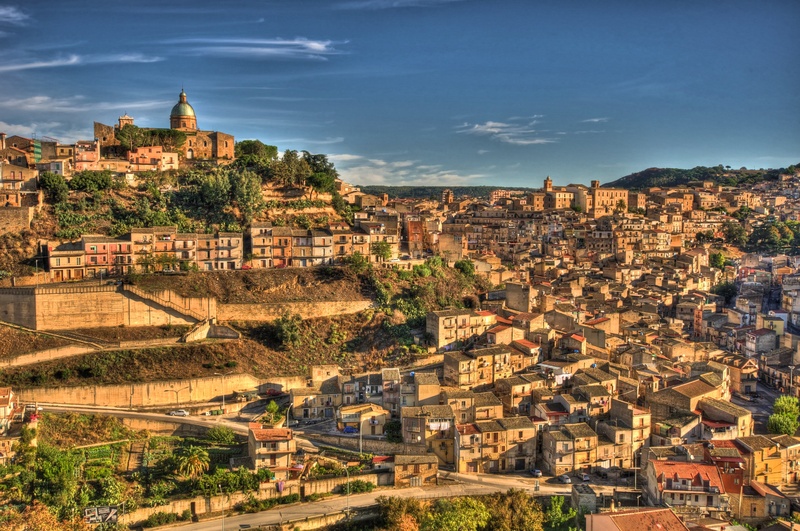 This town is definitely worth a one night stop if you have to fly in or out of Palermo, and is a nice alternative to staying in Palermo to begin or end your journey. Ciao per ora Sicilia! Mi manchi già! 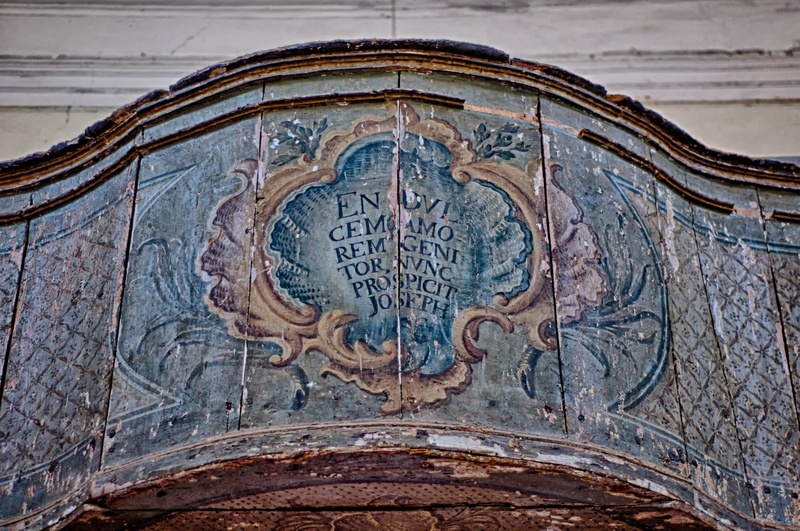 The highlight of my journey to Sicily was visiting my great-grandmothers birthplace, Tusa, and having the opportunity to photograph the church she attended for the first 13 years of her life, La Chiesa di San Giuseppe, before emigrating with her family to the USA. This was also the church where her father was laid to rest. Finding the church proved to be somewhat more of an adventure then I had anticipated. 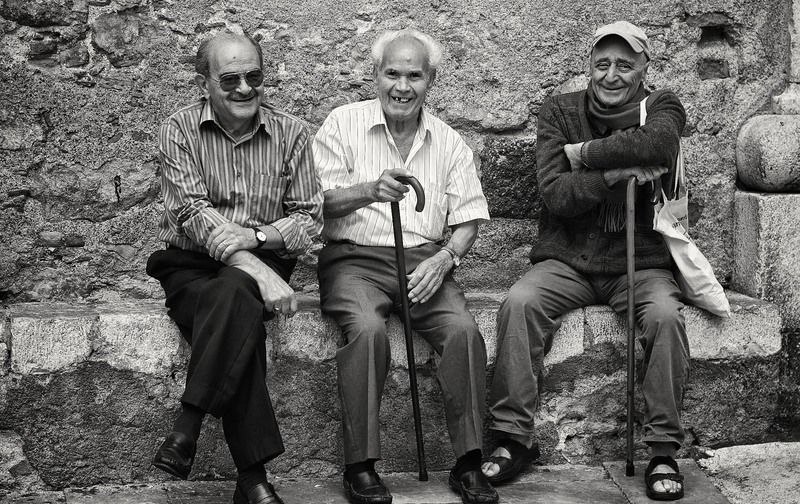 We located the old town quite easily, and my daughter and I wandered up to three nice, older gentlemen sitting on a bench. 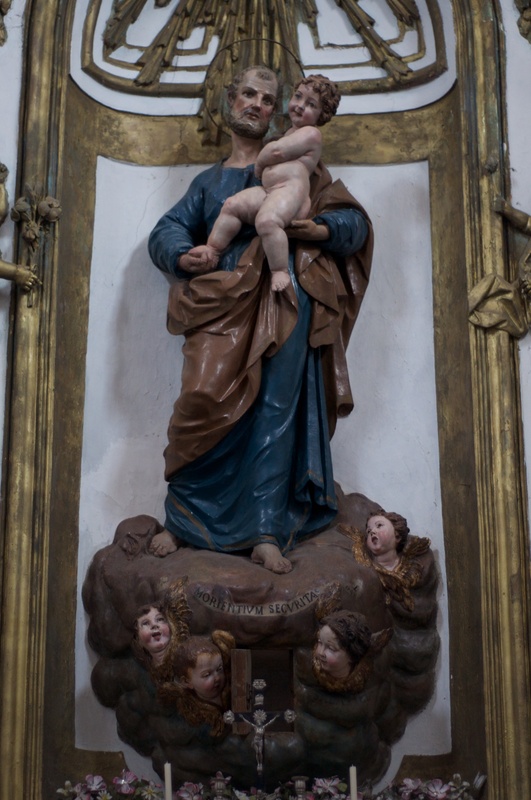 I explained what I was looking for to them in broken Italian, but unfortunately the men had no idea what I was looking for or where to find La Chiesa di San Giuseppe. At first I thought that either my Italian was so horrible that they didn’t understand me or that I had the wrong name for the church. Just as I was about to give up, a young boy of about 10 years old came up to us and said “ So dove La Chiesa di San Giuseppe è, io so dove si trova!”. 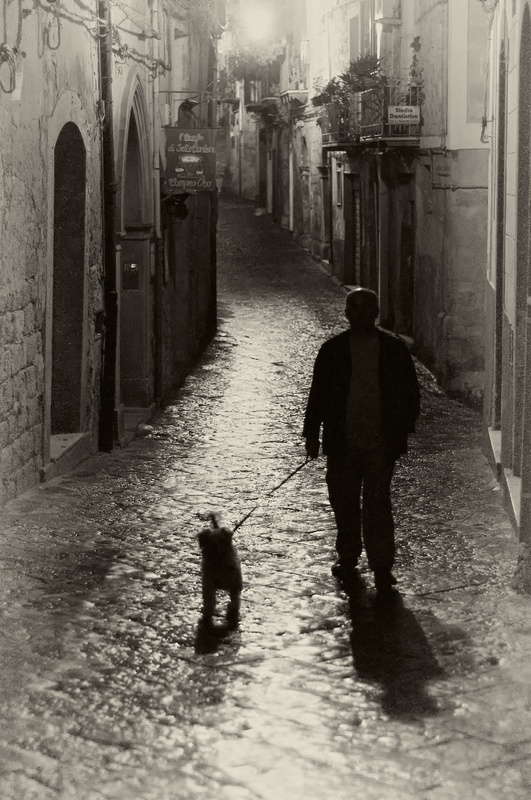 With this, he scurried off up the hill like a bloodhound on a scent and disappeared into the narrow cobbled streets of the old town. I took off after him, almost losing sight of him at every turn as he sprinted into the inner maze of Tusa. I immediately lost my family, but I was on a mission. 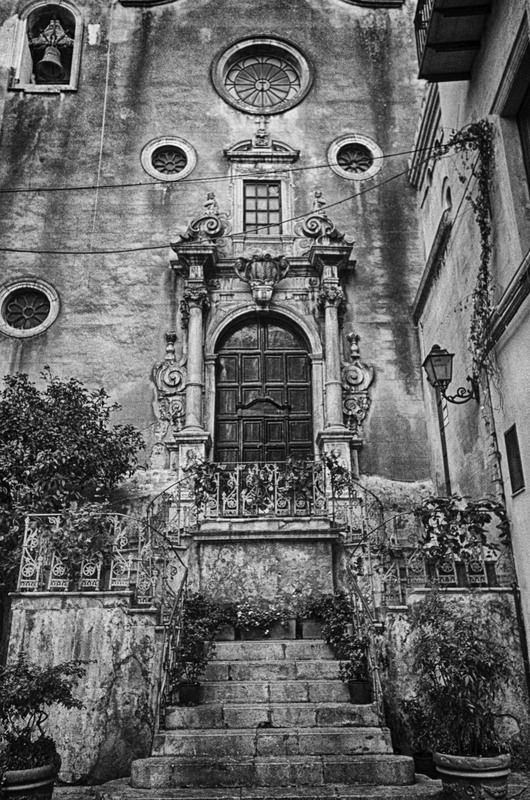 The boy soon found the small church door, and beamed a smile at me as he pointed the way. We tried the door, but it was locked. He then told me to wait, and went scurrying up the hill a little further and pounded on a door of a nearby residence. A middle-aged woman came to the door, and the boy relayed our quest to the lady. 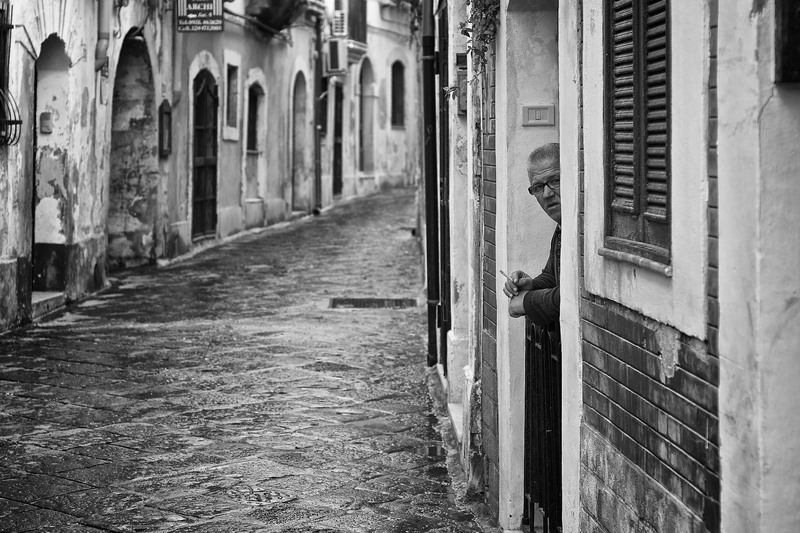 She then smiled at me, stepped out into the alley, and started yelling in Italian up another alleyway. 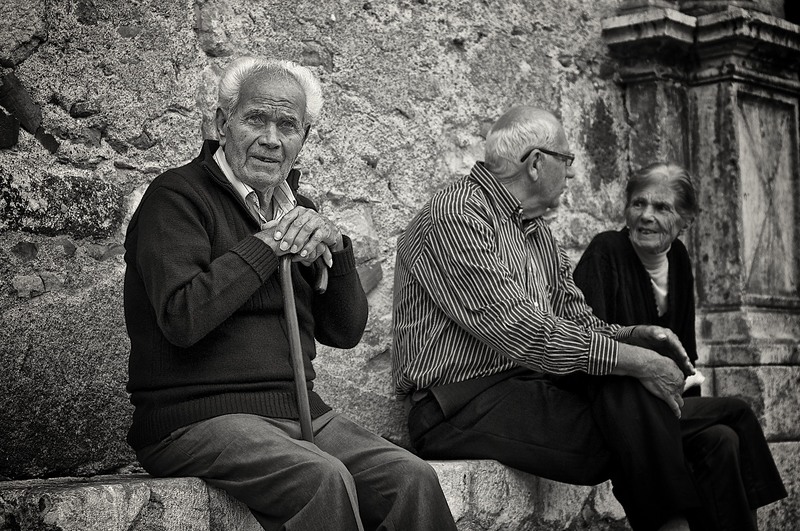 Soon an older woman came out onto a third floor balcony, and another unintelligible Italian conversation ensued. The older woman next came down into the alley, took a large, ancient looking key from her pocket, walked up to the church door, and unlocked it for me. She told me to go inside and take as long as I wanted to look around. 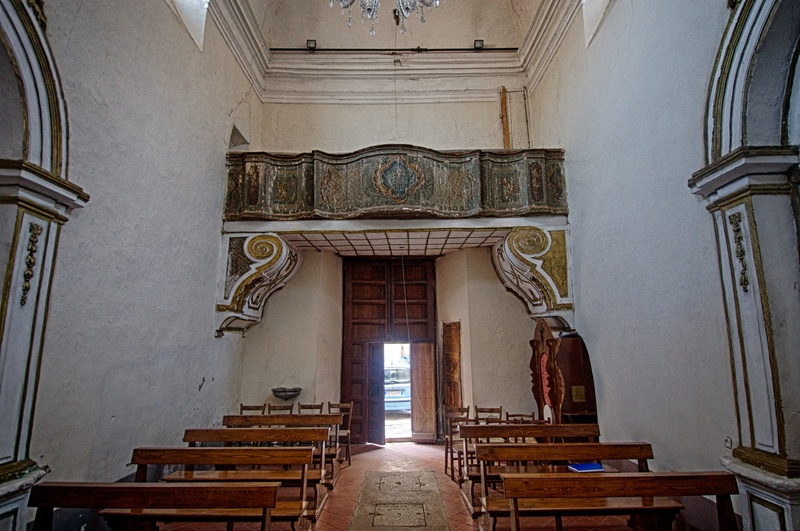 The photos above are HDR images of La Chiesa di San Giuseppe. 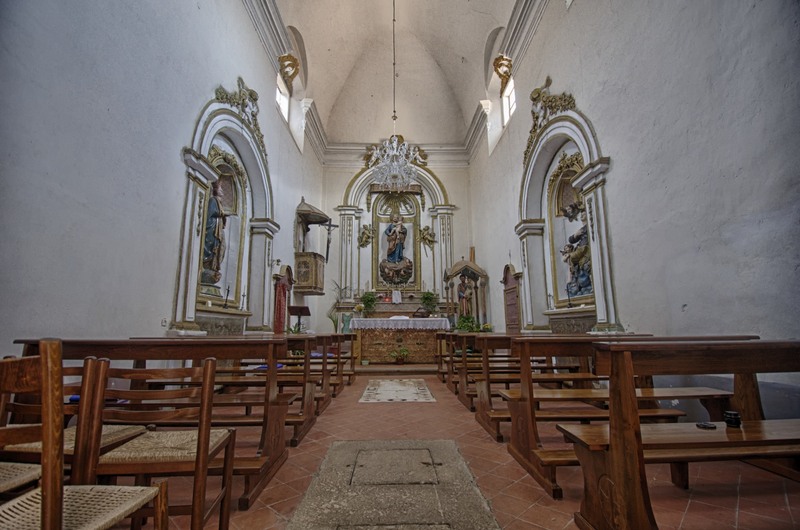 The church was built around the year 1600. The single nave with simple barrel vaulting, plaster walls, and tiled floor are likely unchanged for the last 100 years. 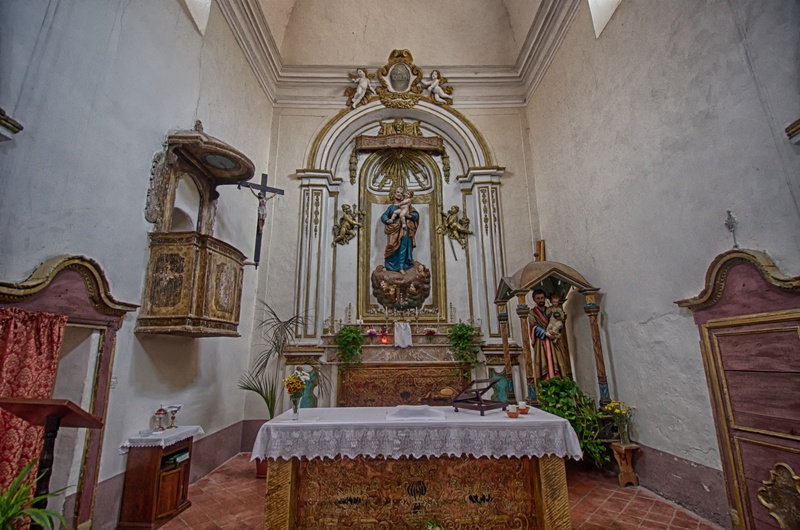 Statues of St Joseph on the alter and side alters were carved by the local Sicilian artist Simeone Li Volsi (born in Tusa,1588), whose tomb is also located in the church. We finally arrive in Tusa, the town where my great grandmother was born and lived for 14 years. This is not the seaside resort of Tusa (Marina di Tusa or Castel di Tusa) but the remote sister village of Tusa Montagna (settled 403 BC!!) situated 600 m higher at the end of a wickedly serpentine 9 km road (more like a goat path, the girls were having panic attacks during the drive). Mind the goats in the road! Traveling this path was the equivalent of passing through a time machine. The streets were like a movie set, seemingly unchanged for millennia. With these spectacular views of the coastline and the Mediterranean beyond, it is a wonder that anybody would ever want to leave. But after her father died, the money dried up and her family was forced to leave and move to the United States, finally settling in Massachusetts. Up next, the chapel she attended as a child and named her son, my grandfather, after. I like to refer to this gentleman as “Don Cannoli”. 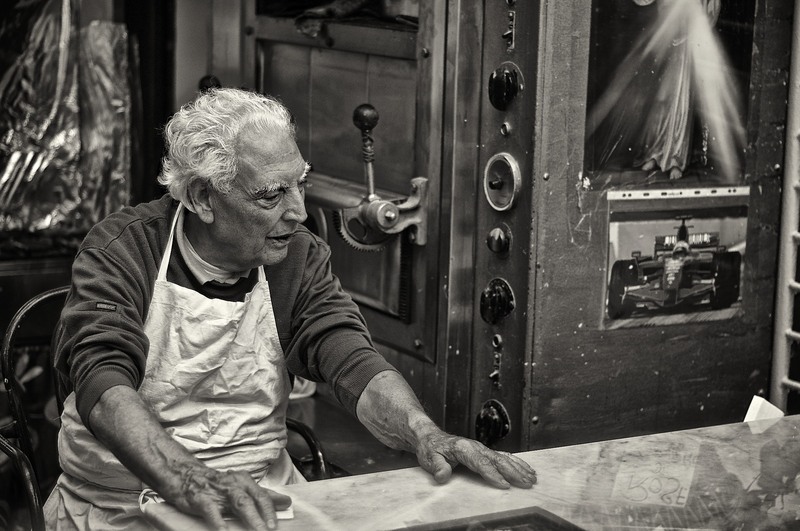 He is the patriarch of the Laboratorio Pasticceria Roberto , a cute little pastry shop which we found tucked away on a side street in Taormina. We had a quite a few of his cannoli while we were in Taormina, and they left us speechless. By far the best cannoli I have ever had!! The combination of the freshness of the cheese, the crispness of the shell, and ideal degree of sweetness…not to mention that fact that each cannolo is filled to order, guaranteeing ideal crispness. This is the cannolo that I have tried to imitate in my few attempts to make them myself. If you are in Taormina, I highly recommend you hunt this little bakery shop down and sample his delicious sweets! What is a Sicilian mans second favorite pasttime? 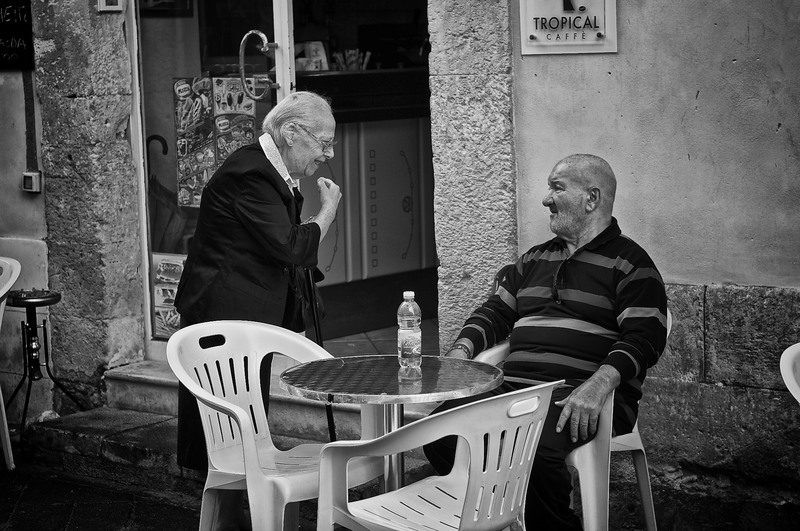 All over Sicily I found older men practicing there second favorite pasttime…. sitting around and enjoying the company of old friends. 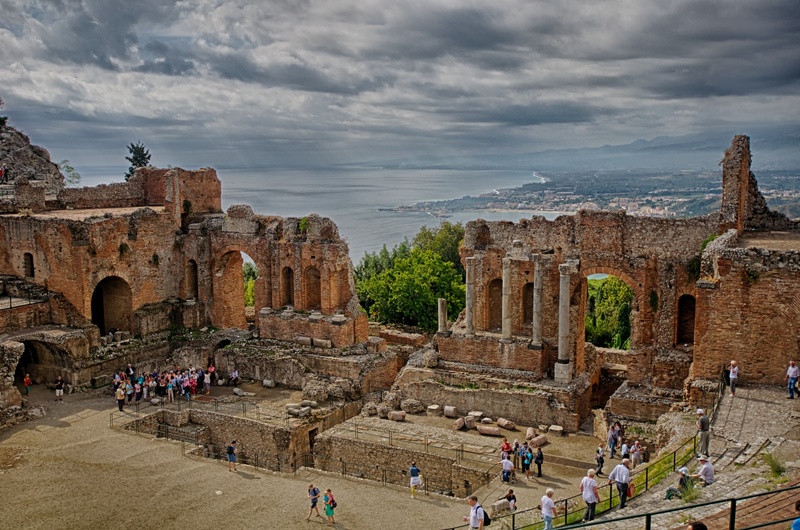 Next stop…Taormina, on the east coast of the island. Perched on a cliff high above the water, Taormina is one of Sicily’s most famous tourist destinations, having earned this reputation with its dazzling views of the Gulf of Naxos and Mt Etna, fabulous Greek amphitheater, and beautiful collection of medieval churches. 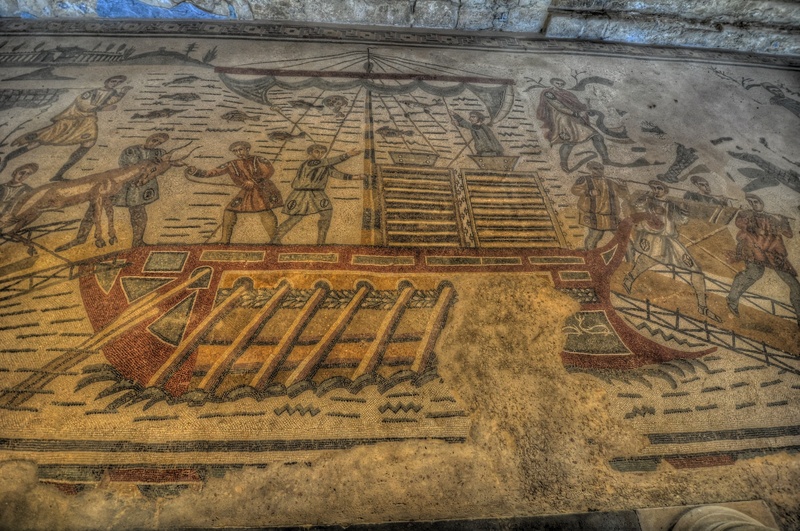 Founded in the 4th century BC, it developed in to a prosperous destination under the Greek and Romans, but fell into obscurity ofter it was sacked by the Normans in 1087. Having been “rediscovered” by Northern Europeans in the late 18th century, it is now back in full tourist swing. If you go, be prepared for large crowds and abundant touristy shops. It is a little bit of a shock if you are arriving from the less crowded central and western parts of the island. Good food and wine abound, but you may have to dig a little or get a good recommendation. 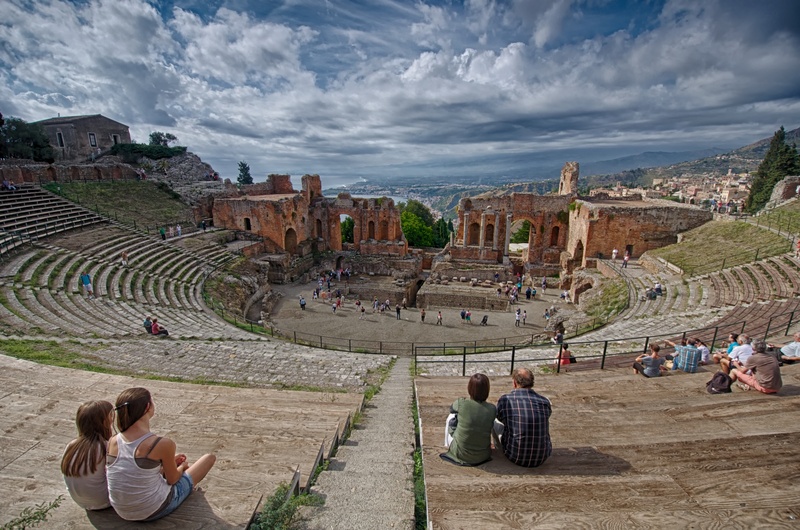 I will start of the Taormina posts with two shots of the Teatro Greco, the 3rd century Greek amphitheater, and its dramatic views over the bay and Mt Etna. 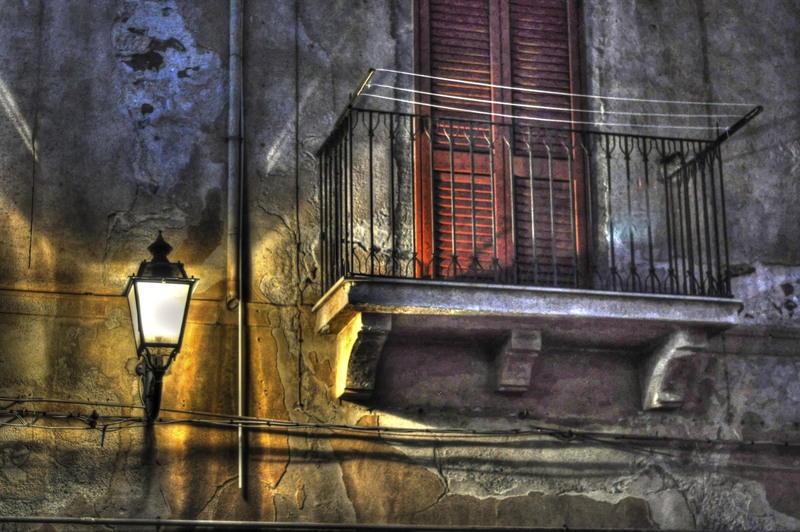 Once the largest city in the ancient world, Syracuse now encapsulates Sicily’s timeless beauty. 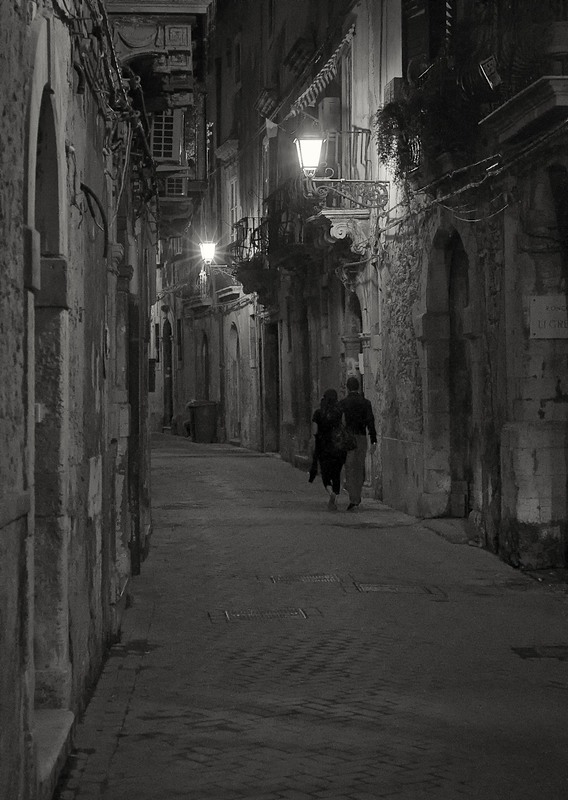 And no part of Syracuse does this better than the Ortygia, the cities historic center and most atmospheric neighborhood. It is an island separated from the mainland by a few bridges, and teems with medieval lanes and cafes which spill out onto dazzling baroque piazzas. Walk in any direction, and you are ultimately greeted with fabulous views of the surrounding sparkling blue sea. Stroll the streets, take in a puppet show at the famous Piccolo Teatro dei Pupi, and have some of THE BEST seafood in Europe! I couldn’t resist one last shot of the beautiful town of Piazza Amerina before we continue our counterclockwise circumnavigation of Sicily. Next stop……. 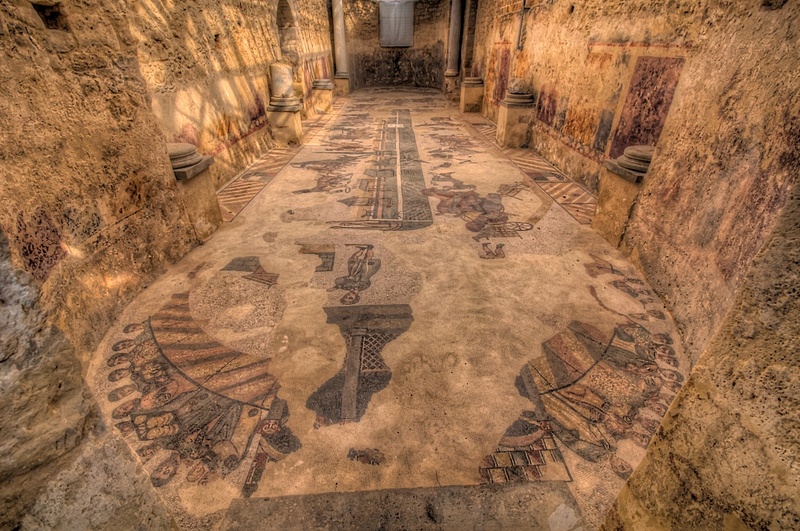 Here are a few more shots of the intricate mosaics from the Roman spa that had been hidden for 700 years before being discovered by local farmers. Here is a link to the original post describing the site.